Heritage enthusiasts have been advocating for such measures for decades. For heritage conservation in this country the incentives in the bill would be a game-changer. Much of the argument for the income tax measures included in Bill C-323 relies on the experience of our neighbours next door. 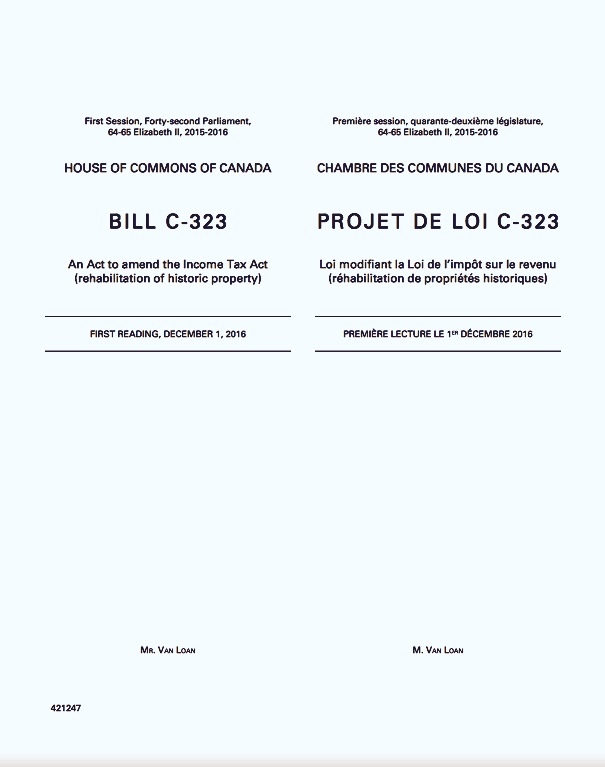 The U.S. historic tax credit, which goes back to the 1970s, is in fact the main model for the tax credit proposed in the bill now before Parliament. Very ironic, then, that just as Canada may be finally groping its way toward such a measure, the United States is proposing its elimination! No comment … except what should surprise us coming from the current U.S. President and Congress? While the poor National Trust for Historic Preservation south of the border rallies the troops to beat back the wacky proposal to ditch the (historic) U.S. historic tax credit, our own National Trust for Canada is engrossed with a national effort to urge Canadian parliamentarians to seize the day — and spring for key income tax and other tools for preserving our heritage. The ENVI committee held two days of hearings on Bill C-323, the last stage of its more fulsome study of the federal role in heritage conservation that we got a taste of last time. The study was a smart move, as it gave the committee background and context for considering the particular income tax policies on offer in the bill, while also looking at the need for a broad suite of legal, financial and other measures to address the generally stingy and laggardly federal approach to cultural heritage. Over the two days the committee heard from several more witnesses. First up was Peter Van Loan, the bill’s sponsor, who gave a vigorous plea for the proposed tax measures. Then came officials from Parks Canada and the Department of Finance. Just after Mr. Van Loan, a former cabinet minister in the Harper government, had given the committee a pep talk about standing up to the bureaucrats , they politely poured cold water on the bill, although not in very convincing fashion and not without some squirming under questioning. More officials, this time from the office of the Parliamentary Budget Officer, offered guesstimates as to the potential cost of the bill’s tax measures (in the $60M range); they too fielded some pointed questions. Lastly, the committee heard a generally supportive presentation by a former director for tax policy legislation at Finance, who had worked with former Parks Canada executive director Christina Cameron on the unrealized early 2000s efforts to develop a tax policy for heritage. And that was it. At the following meeting, last week (October 26), the committee went in camera — members would have been discussing their findings and conclusions and the next steps in producing the report on their study of the federal role in heritage. Sources say the committee’s report on its study — which would presumably include its recommendations with respect to Bill C-323 — is expected November 28th. Meanwhile … the government continues to say it is not supporting the bill. What will the ENVI committee say in its report and could that change the government’s mind? 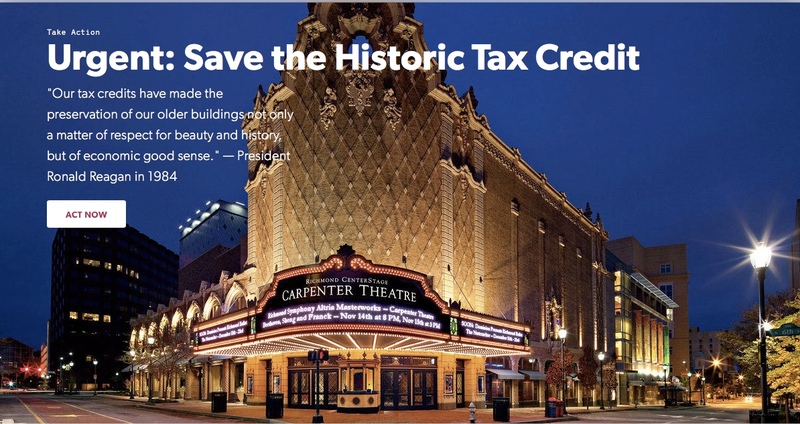 The answer may depend on the public response — the response from all of us who believe the time has finally come for game-changing tax incentives for heritage! 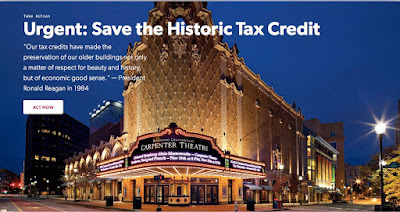 Note 1: See previous OHA+M posts, starting with ”Finally, a federal tax incentive for heritage?" Note 2: The two days of ENVI hearings on the bill can be found here. My assessment at the end of the day is that we have something called the Department of Finance. Their default posture is always no. It's no to additional tax credit programs. The only way things like this happen is when politicians choose to exert political will and exercise their authority to give that direction and say, “This is a priority for us. We want to see it happen.” We are in the position of being able to do that. I think we've seen that dynamic at play here already. I don't put it down to a partisan dynamic at all. I put it down to the natural bureaucratic response of a Department of Finance that will say that to any program like this, anywhere. When you've talked about tax credits in the past, I think it probably would not surprise anyone that none of those came as initiatives from the Department of Finance. They all came as initiatives of politicians, political platforms, finance ministers, prime ministers, whoever thought it was important to do these things. I think we're in a similar situation here in terms of the tax credit. Note 4: At clause-by-clause consideration a committee studies each clause of a bill and votes to adopt it, delete it, or amend it. When this is done the committee is ready to report the bill back to the House.